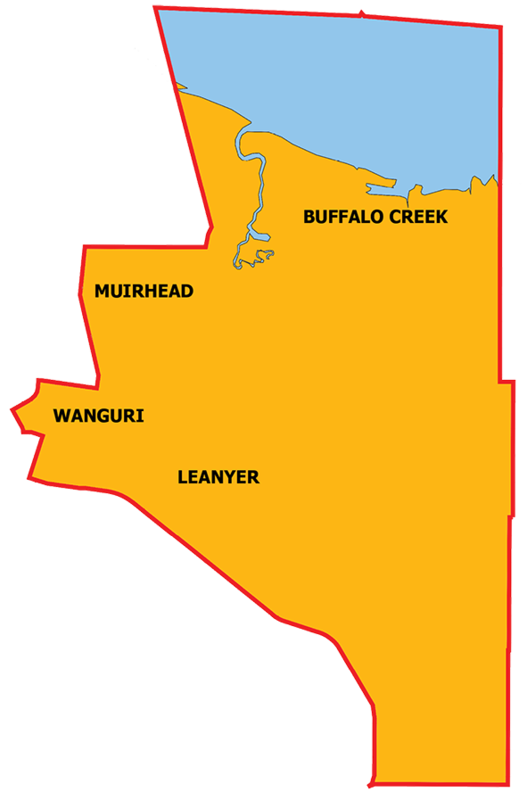 The division was created following the 1983 redistribution and named after the suburb of Wanguri on which the division is based. The name Wanguri is taken from a tribal group in East Arnhem. The 2015 redistribution saw the portion of Lyons in Wanguri move to the division of Casuarina. This division includes the Darwin northern suburbs of Leanyer, Muirhead and Wanguri.